The North American continent hosts close to 1,000 ant species. These ubiquitous insects are diverse in appearance and lifestyle; they can be as small as a pinhead or as large as a paper clip. Their colonies may have only a few individuals, or a million or more. While people may think of ants as pests, only a few of our species infest homes or cause problems for agriculture. On balance ants are beneficial insects, playing vital ecosystem roles aerating soil, recycling nutrients, and serving as predators or prey in the great fabric of nature. Below is a gallery of ant genera found in North America north of Mexico. This page is a work in progress. While I have photographed the common genera and many of the rare ones, I am still adding new ones. Thus, if you are using this page to assist in ant identification, be aware that more possibilities exist than just those pictured here. One invasive species spreading rapidly in eastern North America. One arboreal species commonly encountered only in far south Texas. One species introduced in Florida, locally common. 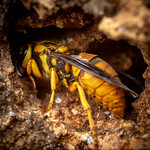 One subterranean species in the southwestern states, rarely encountered. 2-3 species introduced to subtropical regions & greenhouses, locally abundant. One introduced species spreading across Atlantic states. This is a very helpful list and some really great photos. It really is amazing how many species of ants there really are. Had no idea they had this many species…son is in Romania and was looking at some of the homes they build..so looked those us and decided to find out how many in this country. Great photos! Amazed by the diversity. What tiny ant haf a feathered antenna, l found a nest of them in a small flower pot? I doubt they were native. looking for an ant with black front and red rear..any photos? I found an ant nest inside the pot of a long dead house plant. They looked no different than ordinary sugar ants except for they were a bit larger and they had feathered antennas much like a moth and the antenna didn’t seem to have any bends in them. I’m hoping someone has come across these ants before and can tell me what they are. I’m praying l didn’t destroy the nest of an unknown species. Did you mean elongated twig ants? They generally look and behave like miniature flightless wasps. They’re single hunters and they’re nest entrances are generally very hard to pinpoint. You don’t normally find them nesting in an old pot as they really like hollowed out branches, vines and the like. They do generally have short, mostly straight antennae but I’ve never noticed any ‘feathered’ features. Now, my curiosity is peaked, as well! Is it at all possible for some pics? Very happy to get the name(s) right (tiger ant and huntress ant) both seem to be in my small jungle in deep south Texas. Was bitten/stung last night and in pain for 4 to 5 hours. They both travel alone. When colonies are found they have been small (about 150 ants +/-). Thank you for the large pictures, descriptions, and region found. So there are thousands of varieties in North America alone, where do it find photos or drawings of the 900+ you didn’t show. Still trying to identify my feathered, like some moths, antennaed ants. Hese B boys be dead for years now and sorry buy no photos. However after years and years of research I’ve decided that they might have been very tiny carpet beetles. What they were doing in a flower pot I’ll never know but I’d rather them be carpet beetles than worry for the rest of my life that I destroyed a colony of never seen before or ever seen again ants. It was bone dry miracle grow and the plant had been dead for several years. BTW if I kick over a red ant nest and it’s full of winged ants does that mean they are getting ready to swarm? It is a imported fire ant colony. I keep it around to clean my cooking racks when they have food debris on them. Nothing cleans stuck food off of cooking trays better than a couple hundred thousand fire ants. The last time I disturbed it with a dirty rib rack is when I found all the winged ants. it’s me again it was bone dry miracle grow potting soil and they (ant looking things) weren’t really doing anything I had knocked the pot over and discovered them when I picked it up. Saw them in in Jacksonville Florida on the west side, it was in the month of August or so. I might think an ant is a termite with a quick glance but I’ll never confuse a termite with an ant, to me, they look nothing alike. 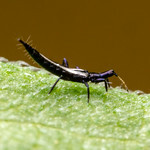 Still leaning towards a totally unknown species of ant (at least in America) or a species of a very tiny carpet beetle. so cool i live in ottawa ontario wonder what ill find with my wife! So I’ve been wanting to get into ant keeping but I can’t seem to find any Queens. Live in the slap dab middle of California. I only see black ants around my house but can’t find queens. Been wondering if I am late on the nuptial flights. Found an red ant queen across the side of my town, she had 1/4 of her wing. Dind’t have the proper gear to take her home safely, but I did just watch her move with her royal guards. I’m assuming they were moving the nest to somewhere else. Isn’t the Niger a wingless wasp? I saw in a post above that you mentioned you had quite a few fertile queens available. I was wondering if that was still the case? (there was no reply option on that post for some reason and did not notice a PM option on this page) I’m looking into starting my first colony, but have not had much luck in the queen catching department yet this year. Been looking into larger ant species since they seem to grow slower. I had this exact problem! Though I haven’t given up here, these 100F+ temps are are not making it easy. Flippin’ awesome. I’m going to hold onto that for the future. Is that Tenn or Texas? I’m in Texas. Anyway, thanks so much, man. Hi Kory. Great pics. I live in Washington State and we have these giant ants coming into our home. They look a lot like the Forelius species you have here, but with a black head and stinger at the end of the gaster. My mom was stung by one a couple of years ago and made it to where she couldn’t walk for a few days. Any idea what kind of ant that would be? Pics sent. PLease let me know what you think! Ok. Will try the email address! Please let me know if u didn’t get it. thanks,,good to see someone put more than just 2 pics of a super common ant. well done,,great for someone who wants a little more. Hi Kory! I need some serious help in identifying an ant. I tried emailing you but it wouldn’t go through. Would it be ok to text you the information? We hv had some black ants 🐜 in our drier side of compost pile. They are quik movers. I am thinking 🤔Harvester? To me it shows compost was dry. I may hv three a few meat scraps in though… not a usual practice of mine. Not sure where you are located or what the exact conditions are, but a common “average” sized, quick-moving black ant around here is the black crazy ant. Considered in many countries to be an invasive species, it originated in Africa. Are they both fast and seemingly erratic? It seems that I’ve got an invasion of the tinyest ants there are, but I don’t what type they are how they’re getting into my bathroom and kitchen. All I know is they’re jet black, they’re tiny, and they look like fruit flies, but they can’t fly. I kill them everywhere I see them, and I use bug spray, but they just keep coming back. Everything in my refrigerator is tightly covered, and my refrigerator door is tightly closed. Also, I’ve been putting duct tape on every crack and crevice I can find, but they keep coming back. I live in Troy, NY, which is in upstate NY, and right next to a polluted creek that feeds into the Hudson River. How can I find out where they’re coming in from even though I keep taping up the cracks and crevices? Is this just a seasonal thing? It may be interesting to note that I typically get an invasion just after it rains. The city house I live in is well over 100 years old. What is the best bug spray I can get for this before I have to shell out the money for an exterminator?